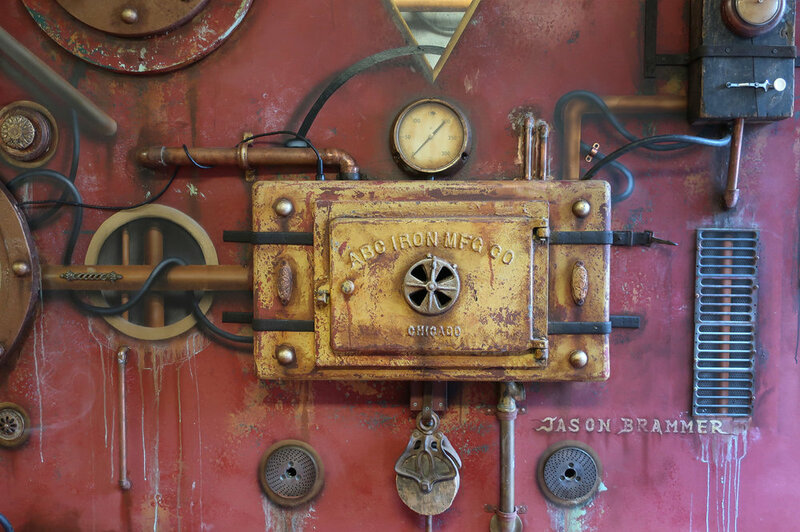 Jason was commissioned to create this installation in the entryway to a commercial rental building. 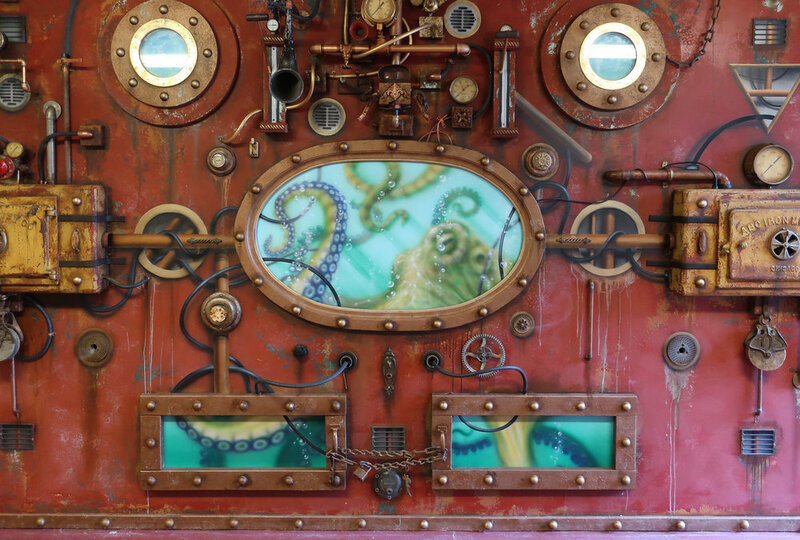 This mixed media installation incorporating mural artwork and real objects was inspired, in part, by Jules Verne's "20,000 Leagues Under the Sea" and by Greek mythology. 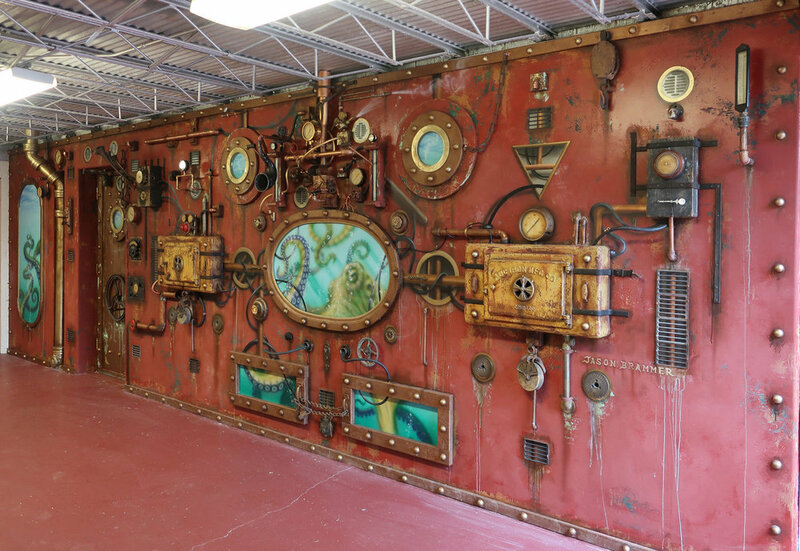 Many vintage and antique parts went into this custom installation, including a vintage wooden viewfinder that serves as the periscope for the Nautilus submarine. 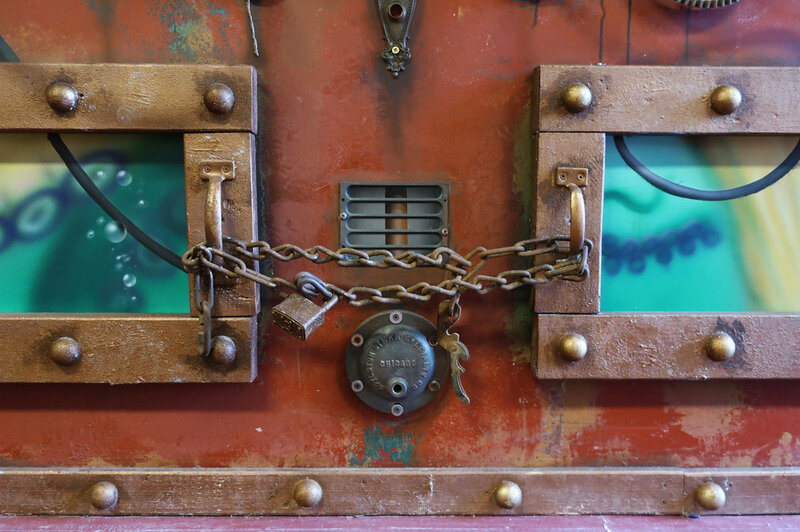 The parts used in this were acquired over many years and from various sources.